If your looking to rent a Mercedes in Miami with an iconic design then the G550 is a great option. Our G Wagon rental service is a great luxury SUV to rent when traveling with friends or family. 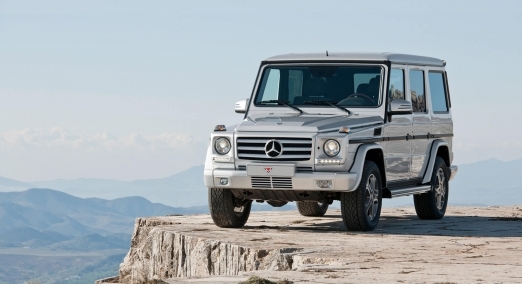 The Mercedes-Benz G550 can handle any terrain and it does it in style. The perfect combination of toughness and performance it has become one of the most popular SUV’s to rent in South Florida. Rent a luxury car in Miami that has ample room for all of your luggage and plenty of head and leg room. Whether you rent a Gwagon or the upgraded G63 version you will have tons of space to kick back and relax. For over 34 years the G-class exterior has not changed much. It was originally used for military applications but has become an icon in the luxury SUV segment. The timeless design has stood the test of time over the years and it one of our most requested luxury SUV rentals in Miami. The g550 is powered by a 4.0L Biturbo engine that produces 416 horsepower. For a large SUV, the G-wagon can go from 0-60 in an impressive 5.8 seconds. The G wagon has a permanent four-wheel drive system that allows you to concur any road in Miami. Inside the G Wagon, you will find high-quality hand-stitched Nappa leather and all the technology you can expect to find in a Mercedes-Benz rental. The G-class has a modern cabin with an advanced infotainment system that allows you to connect your phone for listening to music or hands-free calling. The front seats have a 10-way power seat adjustment to make sure the car is tailored to your driving style. The G550 also has a beautifully sounding Harman Kardon sound system with 12 speakers throughout the cabin. At Luxury Car Rental USA we aim to provide the best SUV’s for rent in Miami. The Cost to rent a G wagon in Miami is $395 per day. We also require a security deposit of $2,500 on the day of the rental. We offer daily, weekend and even monthly rentals. For long-term Mercedes rentals give us a call and we can provide you with special discounted rates. As with all of our Miami luxury rental cars we offer FREE delivery to Miami International Airport. We also deliver to Miami Beach, South Beach, Downtown, Brickell, Wynwood, Midtown, Biscayne and anywhere in South Florida. Experience South Florida in comfortable SUV and rent Mercedes Benz G550 in Miami today!